Up to 500 people are expected at a village beacon lighting event this weekend to mark the end of the First World War. There is a varied programme in Corby Glen including an exhibition, publication of a book about the soldiers who gave their lives, as well as a "Tommy" silhouette, wreaths and poppies for the Armistice Day act of remembrance. 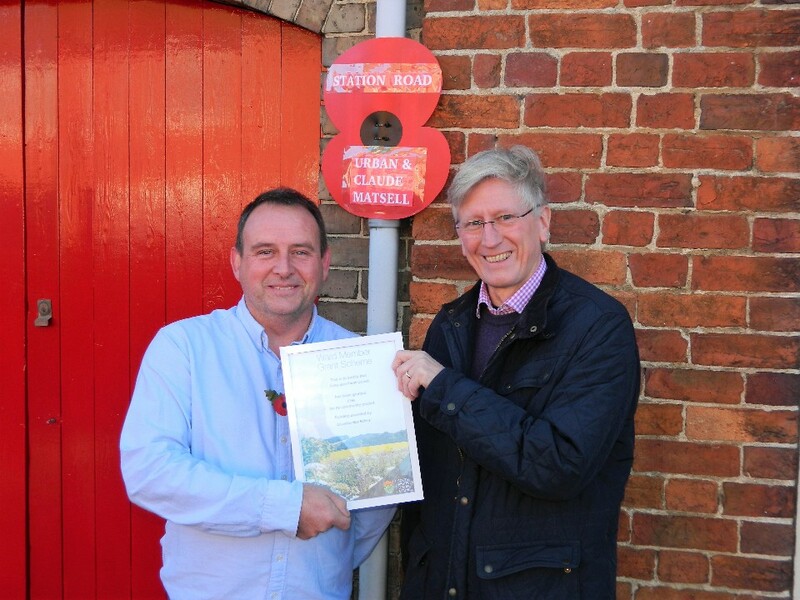 The village commemorations are being given a helping hand by a donation from South Kesteven Councillor Nick Robins, who contributed £196 of his Ward Member Grant towards the total cost of around £400. He said: "There has been a full programme of events to commemorate the centenary of the end of the First World War and it was a privilege to be able to support this important milestone. "It was important to have these events open to the whole community through several different channels, culminating in the lighting of the beacon at the village green, something which will be repeated around the country at 7pm on Sunday." Parish council chairman Stephen Honeywood said: "We have done a lot of work around what we want to do on Remembrance Sunday, and this grant from SKDC is a great help towards that. "We started a research group in the village in 2014, which was 100 years after the start of the First World War, so that we could find out more about the 24 servicemen from this parish who died. "We produced a book about what we know, held an exhibition in the village and have 'street poppies' with information on lamp posts where the fallen once lived. "The seated silhouette for the church service is made of Perspex and represents someone who is there but at the same time, not there. "There will be an extended event on Sunday culminating in the lighting of the beacon and there will be a laying of 24 wreaths to remember those who died."